We strive to provide the best life, leisure, and activities for all students at Rensselaer. 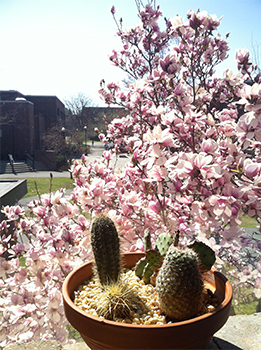 Welcome to Rensselaer's Student Living & Learning Office! Student Living & Learning is the focus for student housing programs related to living and dining at Rensselaer. In addition to providing clean, comfortable, and well-maintained residence halls and apartments, Student Living & Learning strives to build a community that values the potential of each individual and encourages students to broaden their perspectives, enhance personal growth, and prepare for life beyond Rensselaer. A student staff of Resident Assistants, Resident Directors, Community Managers, and Learning Assistants complement the professionals in the Student Living & Learning office. Housing is required and guaranteed for the freshmen and sophomore years. Housing is not guaranteed for juniors and beyond, but every effort will be made to accommodate those who wish to live on campus. Our office is open 8:30am-5:00pm, Monday through Friday. The Student Living & Learning Office is located in the Commons building. Look for the black awning facing Hall Hall and the G parking lot.